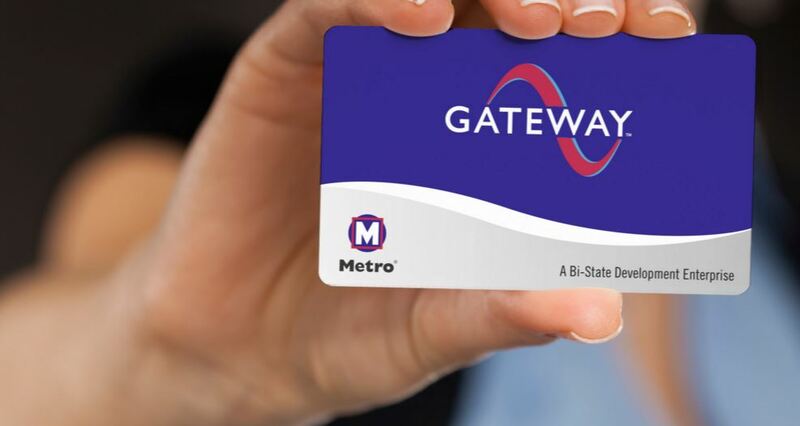 Metro has moved into the next phase of testing the Gateway Card — the smart card system that will eventually replace paper Metro tickets, passes and transfers on MetroLink and MetroBus. Initial testing focused on MetroLink only, where instead of purchasing passes or tickets, testers loaded money or passes on their Gateway Cards at Metro ticket vending machines. Testers have been tapping their Gateway Cards on station validators before boarding MetroLink trains, and fare inspectors have been using new devices to check for valid fares when they encounter test Gateway Cards. In this next round, Gateway Card testers will now be able to use their cards on both MetroLink trains and MetroBus vehicles. This will help us determine how both systems are communicating with each other and with Metro when passengers transfer between the two modes. Later in testing, Gateway Cards will be able to be loaded online, at the MetroStore in downtown St. Louis and at select retailers. Using feedback shared by our testers, we will make any necessary adjustments until all systems are successfully integrated. Progress made during this phase will help determine when Gateway Cards will become available to the public. Gateway Card testers are volunteers, and are not reimbursed for their participation in the test program. They are responsible for paying for their own fares. Metro’s new fare technology will be your new ticket to ride public transit, your “Gateway” to transit and to the region, making it easier to connect with family, friends, work, school, medical care, entertainment and other important destinations. If you have any questions, please call 314-982-1500 (MO) or 618-274-1500 (IL), or visit mygatewaycard.com, for more information about the Gateway Card.